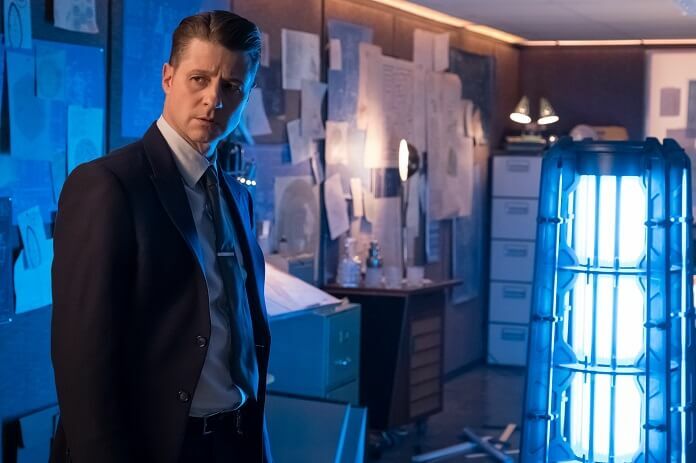 Gotham Season 4 Episode 20 Preview and Photos: "That Old Corpse"
After taking a week off, Fox’s Gotham will return with a new episode on Thursday, May 3, 2018 at 8pm ET/PT. Season four episode 19 found the League of Shadows and Tabitha tricking Selina into convincing Bruce to help them bring back Ra’s al Ghul. Once he discovered how poorly Barbara’s handling her new power, Ra’s demanded she return it to him. Unfortunately, Barbara wasn’t willing to lose her new status. Having mastered the Demon’s Head, Barbara watched as Ra’s carried out his threat to kill Tabitha. She then used her new skill to replay the moment and chose Tabitha’s life over keeping the Demon’s Head. Ra’s regained his power, however the female members of the League threw their allegiance behind Barbara because she chose to save Tabitha’s life over retaining her power. 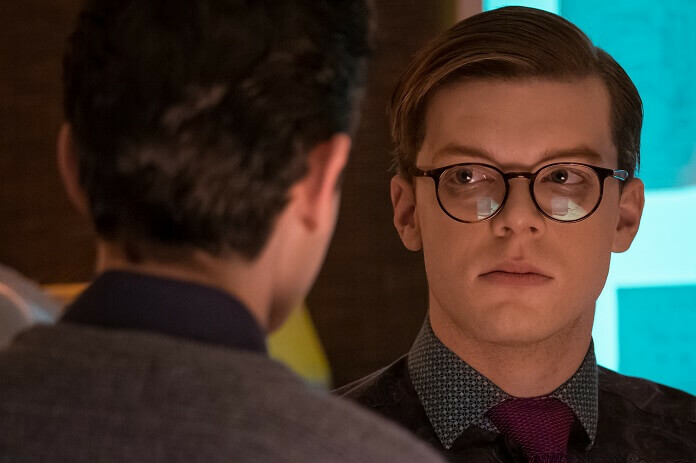 Up next, season four episode 20 titled “A Dark Knight: That Old Corpse.” Episode 20 includes guest stars Cameron Monaghan as Jerome Valeska, Kelcy Griffin as Detective Harper, and Christian Alexander Rozakis as Jongleur. 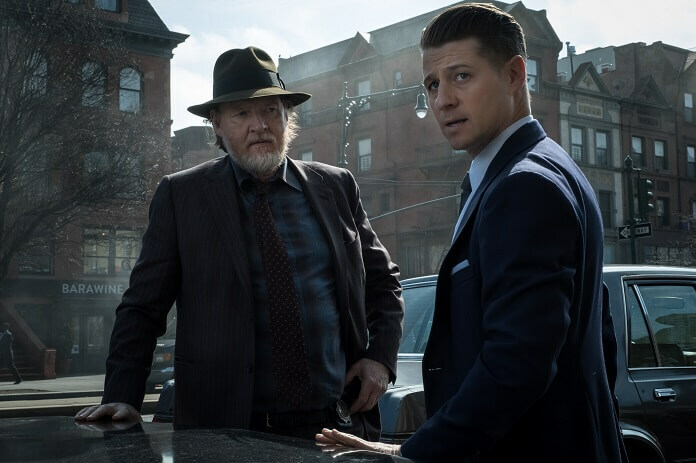 The “That Old Corpse” Plot: Chaos erupts at the GCPD, sending Gordon on a wild goose chase for the culprit behind the mass takeover. 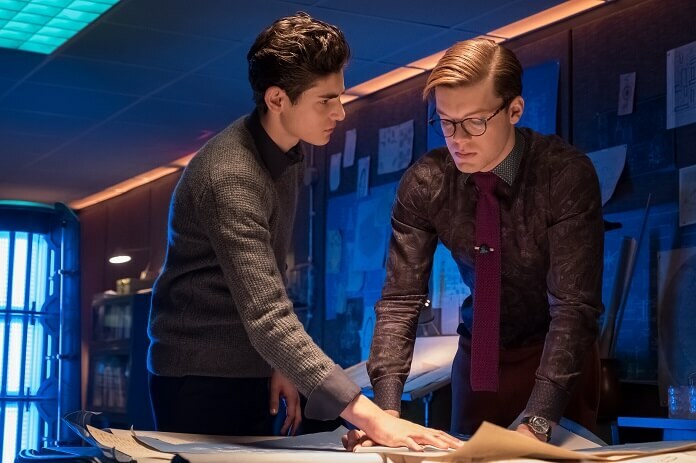 Meanwhile, a friend of Bruce’s becomes paranoid, resulting in rash and destructive behavior in the all-new “A Dark Knight: That Old Corpse” episode.